How to book safely your transfer to bali with transferotel? Join us to explore the real beauty of islands around Bali: Gili Air,Gili Trawangan and Lombok. Which island around Bali will be reachable by speedboat transfer? Transferotel.com provide speed boat transfers to Gili air, Gili and Lombok. Why should I book a speed boat with transferotel.com? We only work with the most reliable speed boat companies.The booking is very easy and useful because you will get the information about the schedule in order to organize your program accordinaly. When you book with transferotel.com, you can make sure to find a place even in the higher season, as well as saving money thanks to our booking system which optimize the boat occupancy and offer the cheapest ticket. Will someone welcome us in the airport? How can I reach the jetty ? It realy depends on where you are departing from Bali, if you are staying in South or West Bali, you have 2 jetty : Serangan Harbour, if you are staying in Ubud or South East bali then departing from Pandang Bai. Is it possible to book a fast boat from Lombok to Gili? Yes, you just need to select your departure and your destination. How will I receive a voucher ? Yes , as soon as you finalize your booking process , you will receive an immediate voucher by email with all the details of your booking. take a look to Spam folder. Can I book my hotel on www.transferotel.com? You can browse our selection of hand picket accommodation at different budget for Bali, Lombok,Gili islands. Actual Booking are handled by our trusted partnership Expedia .We feature all types of accomodation more than 450 000 hotels around the world from large hotel chains to independent hotels, appartments and guest houses. What happen to my speed boat ticket if my flight is delayed? If your flight is delayed please contact us in order to check with the fast boat company to change the departure date of your voucher. You need to know that there is fixed hours for departures that we cannot change because of the schedule of other passengers such as sometimes the weather conditions. Is there a time limit to book my boat transfer? Please make the reservation maximum 24h before your departure time. for some destination 72h are required. How to book safely your transfer to maldive islands with transferotel? Trust us, we know any local island and resort in Maldives. customer should Fill Information Form and pay the total amount due. After payment confirmation the customer will receive the Travel Voucher. The minimum number of passenger has been reached, customer will get an email asking him to pay option and then receive a payment confirmation followed by the Travel Voucher. The minimum number of passenger has not been reached, in this case Transferôtel.com propose to book a Private Boat. What should I do if my booking option with Transferotel has not been confirmed? Travel Agents can easily book airport transfers for their customers. Travel buyers can enjoy easy transfer travel from and to the airport. Travel Agents get a 6% to 10% commission on all airport transfers. When and how will I pay for my booking option? After my booking option is confirmed, I will receive my payment details by email. My option will be automatically cancelled if I dont pay within 48 hours before my departure. What is the reservation deadline with Transferotel.com? Only if the minimum number of passengers for the transfer is reached. Only if the transfer has already been confirmed, in this case you can pay and join your transfer boat directly. A Transferotel.com representative will greet and meet you at the airport arrival hall. If this is not the case, please approach the contact counter at the airport arrival hall. Our representative will be holding a sign - either one that says transferotel.com or one from our agents with card. You will find information on your voucher that will be sent to you by email after a successful payment. What is the distance from the airport arrival hall to transferotel.com departure points? It is approximately 50m walking distance from the airport arrival hall. The ferry pier for speed boat transfers is just outside the arrival hall. What is the distance from the airport to your hotel? You have the choice to book a roundtrip or a one way ticket. Please ensure that both arrival and departure flight details are noted on your booking to ensure that your hotel arranges your transfers accordingly. What happens if I cant find the boat? We advice that you stay near the information corner and call our emergency phone number on your transfer voucher, or email us. We can solve any problems quickly and efficiently. What should I do if I miss my transfer? In the arrival hall of Male Airport, you may contact Transferotel.com by email or by phone for further assistance. Please inform us as soon as possible of any delays encountred. If you can not get to the meeting point in time to join the group transfer, we will help you to join the next transfer. If you have booked a private boat, the driver will wait for you up to a maximum of 2 hours after your original arrival time. Please inform us as soon as possible of any delays so that we can arrange the transfer in advance. Can I cancel my booking with Transferotel.com? How to book safely your transfer to Thailand islands with transferotel? Surathani is the city located right in front of Koh Samui, most customers who make a trip or who come from Bangkok take domestic flight with low cost companies such as Air Asia , Nok Air and Bangkok Air. To get to Koh Samui, you have to take a taxi, a ferry and another taxi, the taxi transfer takes 50 minutes and the transfer by ferry 90 minutes. Transferotel.com offers a transfer package: a taxi from your place in Surathani will bring you to a ferry, then a taxi to your hotel, the price includes the totality of the transfer. From Koh Samui to Koh Phangan, you need to book a Taxi, then the Ferry or book a speed boat transfer and taxi departing from the hotel or the airport. You can take a taxi there, transferotel.com is not organizing this taxi. An agent will be there to welcome you and transfer you by car to the ferry jetty or speed boat to Koh Phangan. Why speedboat transfers are so expensive? Because such transfers are private and are managed by speedboats, also the ferry takes 1 hour to transfer while the speed boat rides is only 20 minutes. You must book a private transfer by speed boat (roundtrip). Please use this instruction to make your arrival experience more enjoyable. As you have requested your airport pick up, we have made all the Arrangements. Our Airport Representative will be waiting for you at the Meeting Point, holding up your sign with your/agent name on it. Please do not follow any other personal or person, except our qualified staff. Below are instructions to assist in locating the Meeting Point, where our Airport Representative will be waiting to greet you. On the right diagram please note the Arrival Hall, this hall is located after luggage collection. After walking out of the arrival hall there is the road with parking space. There is Samui Accom car standing by. No Tour Operators representatives are allowed into this area. Please walk to the Meeting Point, it is about 70 meters away. The Meeting Point is the location where all Hotel and Tour representatives are located. At the Meeting Point our Airport Representative will be waiting to greet you with their transportation ready to take you to your hotel. Where is located Koh Yao yai? 25 mn by speed boat from Phuket Grand Marina and 20 mn from Krabi . How I can reach Koh Yao Yai by speed boat ? For which hotel in Koh Yao Yai can I book speed boat transfer? Transferotel.com arrange for you the speed boat transfer to Santhiya Resort and Spa Koh Yao Yai , Koh Yao yai village , Paradies Koy yao yai , Glow Elixir, Koh yao yai Hillside resort , koh yao yai island resort ..
What time is the departure of speed boat transfer to Koh Yao Yai ? You can check online the different schedule of departure speed boat transfer and return. Don’t hesitate to contact us by email : contact@transferotel.com if you need more informations about the connection of transfer with the flight . How I can found the agent in the airport ? Please put the right email and phone number in the information page before the payment step . Our conciergerie service will contact you in order to ensure that everything is ok for you during the transfer. If I don’t found the agent in the airport what I have to do ? No stress our conciergerie service will contact you in the airport . In the same time you can also contact us by email or via whats app number : 0033613178052. Why I see the price in usd and I pay in Euro ? Transferotel.com is a French company based in Paris and our bank is also in Paris (France).We prefer to show the price online in usd because our passenger is from all the world. The very simple way to get transfers from Kuala Lumpur, Putrajaya and much more. How I can book my ticket? For both sea tour in Cherating or in Putrajaya , I need just to select the cruise tasik putrajya ,cherating fire fly or cherating river cruise and I follow the step to finalize my booking. Where is Putrajaya city and cherating? Putrajaya city is just 30 mn from kuala lumpur and 10 mn from the KL airport, very beautifull city where you admire the attraction from our Tasik cruise boat in Putrajaya. Cherating is in the east coast just 40 mn from Kuantan city and 5 mn from Club Med cherating , from there you can enjoy the nature and discover the Mangrove . We arrange 2 rivers tour in Cherating : Mangrove tour for 1h30 mn during the day time and 1h fire fly tour in the evening . How I can get my voucher? Just after finalizing the booking you will receive a voucher by email with all the informations : reservations number , number of pax, Names,date and hours..You can print it and bring it to the counter of our reservations center on site. Why I need to visit Putrajaya City or Cherating? Putrajaya city : Putrajaya is a garden city with colossal architecture , you can admire The putra Lake ,the Putra Bridge , plus the pink Putra Mosque and the Putra Pedana. All this beautifull and modern attraction you can see from our Cruise Tasik putrajaya . Cherating in only 35mn by flight from Kuala lumpur and 35 mn by car from kuantan. You cannot visit Malaysia without discovering the beach , the forest , the river and the mangrove of cherating.The famous river of cherating have the biggest population of fire fly in Malaysia . With transferotel.com you can book a river boat and experience the fire fly and the Mangrove tour , it’s one of the best excursion in the east coast . Why I have to book before and online with Transferotel.com? When you book online with transferotel.com , you will reserve your place in the boat before you arrive and you will be sure that the service will be well done. Our conciergerie services will contact you after your booking to ensure that everthing is clear for you .In the same time we will keep in touch with you until you take the boat and to start your excursion. How I can contact Transferotel for more informations? You can contact our team by email with contact@transferotel.com and we will answer you very fast or with Chat Through Whats app with this number 0033613178052. 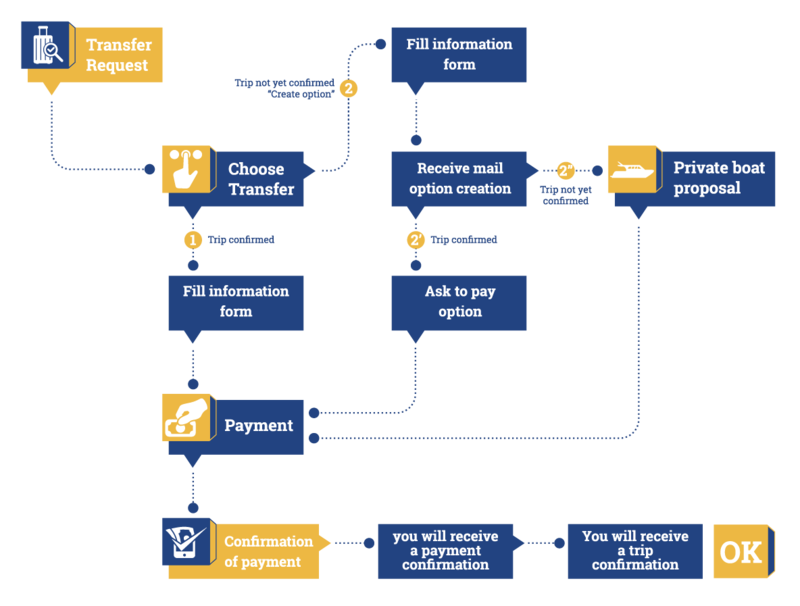 How to book safely your transfer to United states of emirates islands with transferotel? Enjoy our services, our ferry trips , yellow boat, Jalboot and sea plane all over the UAE. What is the offer of transferotel in UAE ? Transferotel.com arrange a seaplane tour with the seawing partnership in Dubai and Abu Dhabi , The water taxi,Ferry, ABRA with RTA Dubai ,the yellow boat tour in DUBAI and Abu Dhabi , the Jalboot transfer in Abu Dhabi. What is the Water Taxi in Dubai? The water Taxi is the way of transportation on the water, Transferotel.com connect 57 stations in Dubai from dubai creek until Dubai marina , we can organize a pick up from all the station and we transfer you from point A to B .The water taxi in Dubai it s the best service to avoid traffic jam in the same time you can admire the beauty of Dubai monuments . How I can book my Water Taxi, Ferry, ABRA, Yellow boat and jalboot in Abu dhabi? Please select the country UAE ,the city and follow the 3 step until the booking payment page, you will receive a voucher by email . How I can book my sea plane ? You can select the country and the city and please follow the 2 step of booking , the departure time will be confirmed by our conciergerie team because the time can change with the weither condition. Don’t hesitate to email us or contact us by whatsapp : 0033613178052. Is there any transfer service between Dubai and Abu Dhabi with seaplane ? Someone can assist about my booking? Transferotel conciergerie services will contact after your booking in order to ensure that all the informations are clear for you and the team will follow your service during the trip or the transfer to check that evething is well done. How the conciergerie will contact me to check the service ? When you book online please don’t forget to put the right email and the mobile number ,like this we will contact you very easy to ensure that everything is well done. You can also contact us by email : contact@transferotel.com or by whats app : 0033613178052.